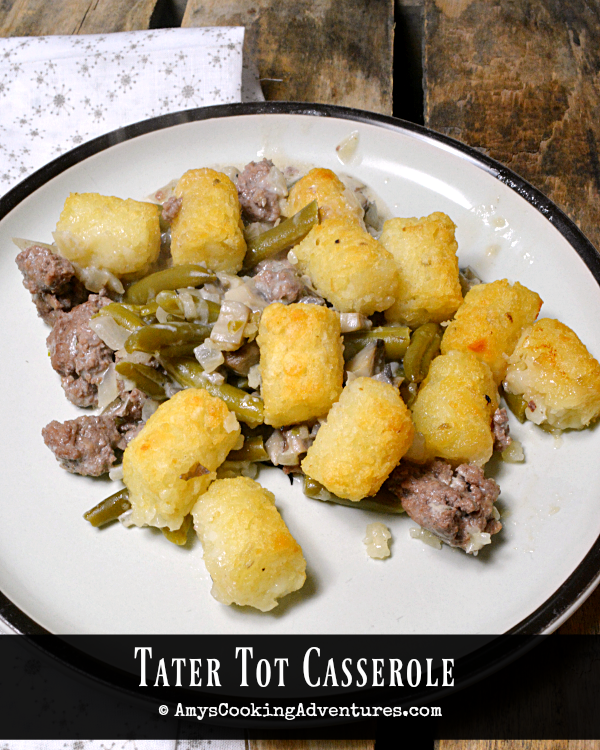 Tater Tot Casserole is such a classic! So funny story. 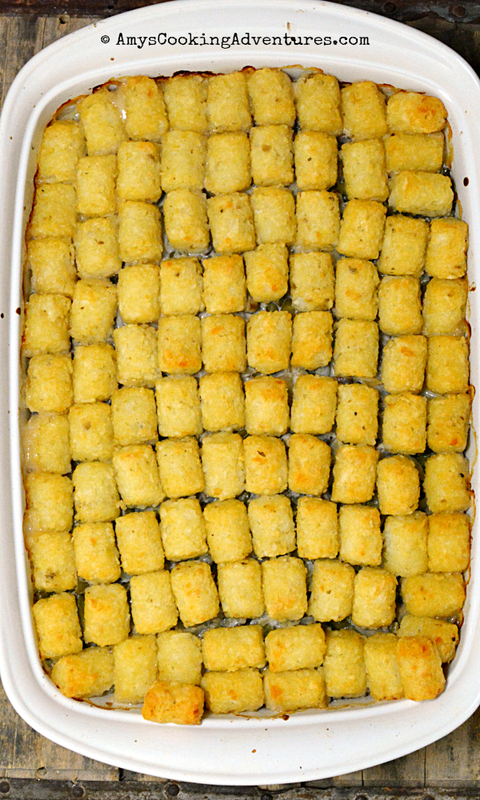 I never had tater tot casserole until I went to college. It was before I was really familiar with the term casserole (I’m from the Midwest and it Hot Dish, ok?). And it was dorm food and when everyone else was moaning and groaning about the horrible casserole, I was loving every bite! When I finally got around to actually cooking (after Dude was born), I decided to try making my favorite on my own. I found an amazing recipe and used it all the time! Then I started cooking more and more and more and somehow turned into a food snob and stopped used canned cream of fillintheblank soups (totally not judging if you do, by the way, I just don’t), and wanted to update the recipe a bit. So – if you like the canned soup version and you want to save yourself some gray hairs, go for it! If you want to try the homemade version (that totally uses half and half (not fat free- what the heck is that stuff?!?) so it’s probably not even any healthier) here you go! Place the beef and half the diced onion in a skillet over medium heat. Cook, breaking up the beef as it cooks. Cook until browned. Set aside. Meanwhile, heat 1 tablespoon of butter in a medium saucepan over medium-low heat. Add the onion and mushrooms. Cook until the onion is tender and mushroom have released their moisture, about 2 minutes. Stir in the garlic, salt & pepper, thyme, oregano, flour, and remaining tablespoon of butter. Stir, cooking for an additional 1-2 minutes. Very slowly whisk in the broth, followed by the half and half and Worcestershire sauce. Cook for an additional 5 minutes or until thickened. Drain the grease off the meat. Pour the meat mixture into a 9x13 in casserole dish. Pour the green beans over the meat and the mushroom sauce over everything. Sprinkle the cheese over the top (if using) and line up the tater tots over that. Bake in the preheated oven for 35-45 minutes or until the sauce is bubbly and the tater tots are browned.